Note: Check the comments section - there seems to be a very live Q&A discussion on the topic. Boot Camp Assistant requires an Optical Drive with Windows installation in it so it can install Windows. For Macbook Air and others it supports an ISO option and it creates an usb installer. Get the selected one and the second line also (MacBookPro8,2). Only a question, why do we have to remove the PRE from USBBootSupportedModels? Shouldn't work with PRE anyway like a charm? thanks a lot, it really works, remove the PRE is essential, spent too much hours tryn' to understand why simply adding my mb strings bootcamp won't works. I have a broken dvd drive. OMG thank you!!!! I had added the strings, but the trips is removing the "Pre". For some reason, it just won't work without removing the that. Thanks again!!!!! I am not actually able to use the terminal , so these instructions will not work for me. Other web sights ask me to edit system files,, and even those instructions were too hard to complete as well. Is their a third party application for the mac that can create the windows7 usb drive for me? Or can you direct me to the write person? Download Xcode! Then go to /Applications/Utilities/Boot Camp Assistant.app/ and right click on BootCamp and click SHOW PACKAGE CONTENTS. Then go to Contents/Info.plist. Right click Info.plist and open it in Xcode. Follow the instructions here, and You're done! Do you have El Capitan? If so, you need one more step. What is the step for El Capitan? Nice! This worked on my old MacBookPro4,1. I tried it a first time and must have left a typo in somewhere being as Boot Camp Assistant was dead in the water. After I restored OS X on my MBP I decided to give it another try. Presto! It worked. Thanks for the write-up and the help! Here are excepts from y edited plist that DOESN'T work... Just so others know! It looks like making any change in Info.plist causes app crash. But actually changing the entries back, re-saving plist, makes bootcamp work again. It's weird. It seems the system verifies those values somehow, instead of plist size or date it was modified. I had a similar issue, and found that you can re-sign the application after changing the plist (OSX seems to verify that these files aren't modified before executing). I tied "sudo codesign -f -s – /Applications/Utilities/Boot\ Camp\ Assistant.app" in terminal but it says "-: no identity found"
worked perfectly for me! Many thanks guys been trying to do this on an old mac mini for bloody ages! Just tried myself on Mavericks DP6 and getting the same problem. Luckily I've got plenty of mates with Retina Macbooks and MacBook Airs to create the bootable USB. - Modify the Info.plist as described above. - Open the Terminal app. - If you don't have xcode command line tools, it will prompt you to download them, so do it. - After the download is complete run the code again. - Presto! Boot Camp Assistant will run again. I forgot one thing... you need to have a developer certificate to resign the the files I also got that error when I tried in a clean mac installation... If you can post your info.plist file maybe I can sign it for you... Cheers! Hi zomars, can you try to resign my info.plist please? Here's my file dropbox. com/s/w45m57fezd004s3/Info.plist Can you send it to jorgezetina at gmail, please, thanks! Hi, just a quick update. First, thanks to zomars for the help. That will do the work. I knew it! The first time I did it didn't ask me for the certificate, but after a clean install it did again. Gatekeeper is disabled but BootCamp still crashes after changes in plist file and of course code signing of the file is still not possible. Thanks so much for the dude that got this! Finally, adding “—deep” worked for me! It prompted me to install the developer command line tools, which I did, and then running the command again made it work. I am on Yosemite on an iMac. Thank you. 2. Backup of Info.plist file before editing please copy outside application directory (best on to your desktop or so). Otherwise self signing will not work. 3. Everything else according to a.m. instructions. 4. I am not sure if you need to apply spctl –master-disable or not I have done it. Is this all for Maverics? Isn't it out already? Yes that is instruction for Mavericks. Mavericks is out already and it is for free in Appstore. Is all this needed with the released version? I'm still having trouble with mavericks after following all these steps. I've installed xcode, placed any backup of info.plist outside the application directory and it won't work. I hope I'm not doing anything wrong. Use "-" instead of "–"
I had originally been following another guide that used textedit to change the info.plst file. Don't know if it's because of this, but by resetting the boot camp assistent.app to its original state and following the guide exactly it works now! Thanks so much for all the help and the great guide! 2. Got the aforementioned code signature invalid crash error on running bootcamp. And it signed off, and allowed me to run bootcamp and create the windows ISO! Thanks a lot, you saved my day. Works great on Macbook Pro 13 mid 2009 with Maverick. Thanks to Flix, adding the --deep tag worked for me! 5, find DARequiredROMVersions, click on the plus and add your Boot Rom Version. 6, find PreUSBBoot SupportedModels, click the plus and add your Model Identifier. (or just copy and paste Bruno's command) then enter (it will ask you for a password. Only thing I would ad to Jason's reply is that... at first I did exactly how it was described I Jason's thread but it did not work...but I remembered reading from all other threads about removing "pre" from the word "PreUSBBootSupported Models"... So I did and that did the trick. Thank you very much guys! 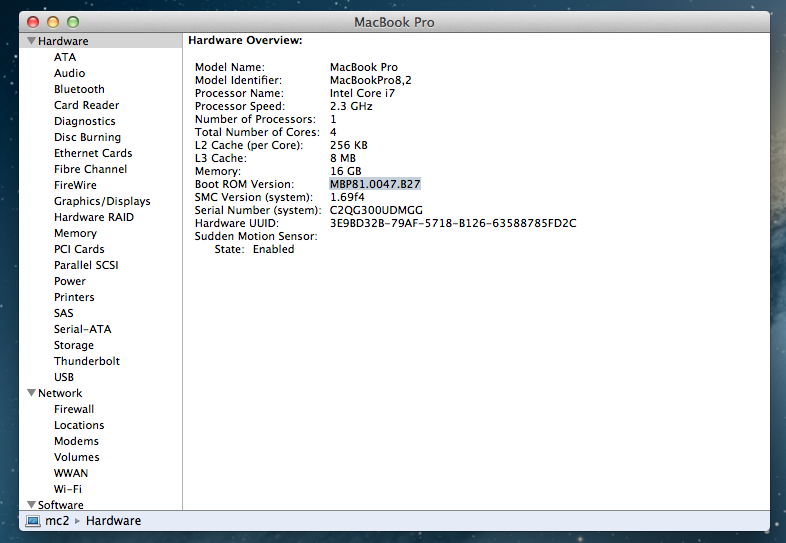 The --deep fixed it for me on the MacBook Pro 17 inch early 2011 - MBP81.0047.B2A and MacBookPro8,3 - with Mavericks! The codesign command with appended --deep flag worked with MacBook8,1 with yosemite. Great tips, thanks! Thank you so much!! Worked a treat!! Man, You are awesome! I was looking for this solution for a whole day. Cheers! Anybody has a backup of their original Info.plist (Maverick)? I made a huge mistake (aka not backing up) and I can't sign it back (even after installing XCode). Or you can just delete changes in the file that you have and everything will be work again. thank you so much~! YOU ARE GOD! Maybe that's a problem with your ISO file, got the same problem and used a different one an it worked! Experienced just the same on both of my MBPs. That's EFI's behaviour it seems. It refuses to boot from usb flash and that's it. Try to use rEFIt. It didn't work for me though, I gave up and put my superdrive back, installed Windows and then put my SSD back in. I just wanna say thank you. You guys are awesome! Made my day! Thanks for all you guys work on this. My only problem is that I cannot find the "PreUSBBootSupportedModels"
It looks like it my equivalent is "32BitSupportedModels". Any idea where I went astray? BTW, I am running Mavericks on a Mid 2010 Macbook Pro. This text seems incomplete, better post the complete plist file from textedit instead of the terminal. Sorry I'm a bit of a newcomer to OS X. How do I retrieve the plist file from textedit? I did manage to foul the file up to where it just bombs on startup like earlier users were discussing. I downloaded your file from dropbox and it works fine now. I was able to create a bootable usb drive, but then it boots in EFI mode and throws a fit about the MBR format of the drive. I deleted the EFI folder from the usb drive to try to force it to boot in BIOS mode but no work-ee. Now it won't even find the bootable usb in the boot menu. After searching the forums, I get the impression that there is basically no way to boot from a usb in my mid-2010 macbook pro, even if I successfully create a bootable usb drive with a windows install iso. So now I'm pretty much back to waiting on my replacement optical drive which is supposed to come on Monday. Then I'll remove the opti-bay hard drive, re-install the optical drive and give it another go per boot camps original demands. Unless someone has another idea to try? This actually works in Mavericks. So install Xcode from the App Store and run it once. Hey guys, here's a video tutorial explaining how to do this without the terminal. After some research I found out that if you put '--deep' after the command it works! Thanks for all the helpful information all. Dude, needed to install Windows on my GF's computer (so she could play video games (yeah, I know!)) and that last little bit of code " --deep " made the Boot Assistant display the create bootable USB disk option, THANKS! I have been TEARING MY HAIR OUT to fix this. You are my hero. you are an absolute legend. I spent all night trying to figure this error out! Thanks you Mr. God! It worked perfectly! I still get "no identity found" error. How can I fix it? Or maybe someone can sign my file? Anyone who has the "–: no identity found" error: IT IS BECAUSE YOU ARE COPYING AND PASTING THE TEXT FROM THE WEBSITE and the dash between "-fs" (or "-f -s") and "/Applic..." is formatted as a long dash. Short dash and long dash are NOT the same character. Just look at the command and type it out yourself, being sure that "-fs - /Applications/..." is correct! Also, yes you need to have Xcode installed to do the code signing, but no super-duper special developer privileges or anything. Trevor, I just saw that wordpress changes all dashes to smart dashes (or whatever) and that makes most commands not work. I have disabled this feature, so all dashes are now normal in the comments section. Example: sudo mv /Applications/Utilities/Boot\ Camp\ Assistant.app/Contents/Info.plist.bak ~/. 7) Turn you MBP around and hold up your middlefinger to the Apple logo on the lid as a symbol of your loyalty to the Apple's thought police who felt it was necessary to prohibit you from using an ISO file just because you have a DVD drive installed. Brilliant work by Mihail and the others. I don't know how he figured this out, but I'm glad he did. Nailed it! Thanks for bringing all that together and the original post. +1 to step 7. IMPORTANT: Your ISO image must be named with a ".iso" extension or Bootcamp Assistant will give you a vague error message that it could not create a bootable Windows ISO. Thanks so much for your help, it has been very useful. That works! I was getting the no identity found error, but followed this procedure and it all works fine. I found out why Boot Camp is so stubborn about this (although still a poor design). It's because Windows will not install if there is a second drive installed. Whether you have an optical drive installed, or a secondary hard drive, it will have to be removed before you run the Windows installer. This is not a problem if you install from the optical disc . Also, if you have not been using your optical drive, it will probably give errors when attempting to burn a disc. The single must common cause is dirty lenses, most easily corrected with a $12 cleaning disk from office depot, target, or almost any other store with an electronics department. if you have an older drive, check the type compatibility before buying dvd disks. I suggest using only use +R or -R disks for this purpose, not rw, dual layer, etc. Just wanted to say THANKS THANKS THANKS! copying the plist back up out to the desktop did the trick! Summery and Fix "no identity found"
3. Got the aforementioned code signature invalid crash error on running bootcamp. Really important: Don't to have any new files in the BootCamp/Contents folder..
Make sure you remove All backups before signing!!!! If you get that second line without the: (/Applications/Utilities/Boot Camp Assistant.app: code object is not signed at all) then it should start without a glitch! I will be hacking many more Apple apps with this method.. I used the terminal command...got the Xcode request....installed...worked like a champ! That was awesome. Thanks Mine is mac book pro yosomit it worked. Works with original post and post 32 on Yosemite. then simply change one of your entries having same number of characters as your macbook code, DO NOT ADD ADDITIONAL LINES. It worked for me w/ 1,2,3 & 5 of what dz said..... Thanks a lot! 2009 mid macbook pro and yosemite. Thank you so much, Mihail and commenters, for making this information available! I recently decided to change my partition scheme from MBR to GPT so that I could finally upgrade from Lion, but I was unaware that an external optical drive wouldn't work, and my SuperDrive dropped dead a long time ago. USB was my last hope, and you guys really saved my bacon in that regard. Still unable to actually get Windows installed, but at least it feels like I'm making progress now. I made the flash drive with the Windows ISO -- two of them, in fact -- but I was never able to get them to actually show up on the boot menu, so I ended up just replacing the busted optical drive, which worked (although the first replacement I got was defective). Maybe I could've found a way to make the flash drive work if I'd kept trying, but I was entirely out of ideas. Oh well. Thanks for the help anyway, guys. Running Yosemite in my late 2011 MBP, I made the changes via xcode and then resigned in terminal, and everything worked just fine - except that bootcamp assistant now does not recognize the correct free space on my ssd, which replaced my hdd that now lives in my optical bay. It's stuck on assigning only 20 GBs to the windows installation portion, even though there is over 100 GBs available. I've emptied my trash, and re-booted my MBP with no change. Any one come across this issue? how did you manage to make it work on Yosemite, I did everything correctly and BootCamp get stuck when trying to create the bootable drive. "Your bootable USB drive could not be created" An error occurred while copying the Windows installation files." Never mind, figured it out. Didn't have install tools downloaded on usb stick. What a dufus! 1. Save a backup of Info.plist. You will find the file by right-clicking on "Boot-Camp Assistant" and then press "Show contents". Copy/paste a backup file and put it on the desktop just in case. 2. Go to terminal. Enter "sudo nano /Applications/Utilities/Boot\ Camp\ Assistant.app/Contents/Info.plist". Add the two strings to the file and remove "PRE" as described above. 3. In terminal, run "Then I ran sudo codesign -f -s - /Applications/Utilities/Boot\ Camp\ Assistant.app/Contents/MacOS/Boot\ Camp\ Assistant". Install XCode if prompted. Thank you very much for your inputs, Matthias 🙂 I could do it and it worked. But you could add the following step: if we are prompted to install XCode, we have to enter again the code in terminal "sudo codesign -f -s - /Applications/Utilities/Boot\ Camp\ Assistant.app/Contents/MacOS/Boot\ Camp\ Assistant", because it doesn't run it again automatically after we install XCode. Hi, thanks for the auto but i got stuck. In terminal, run "Then I ran sudo codesign -f -s - /Applications/Utilities/Boot\ Camp\ Assistant.app/Contents/MacOS/Boot\ Camp\ Assistant". Install XCode if prompted. I'm in debt with all you guys! I wasn't able to find even the correct information about a similar procedure. I'm making the installation right now. Thank you!! Thank you so much for this original post AND the helpful comments! On Yosemite 10.10.2 with mid-2009 MacBookPro, OK up to "replacing existing signature" then I get this security error: "errSecCoreFoundationUnknown". Any ideas to get around this? 5. tried sudo codesign -f -s - /Applications/Utilities/Boot\ Camp\ Assistant.app/Contents/MacOS/Boot\ Camp\ Assistant --deep, Terminal returned "replacing existing signature" and "errSecCoreFoundationUknown"
I have a problem after partition the hard disk & reboot the Mac. It show "No bootable device -- insert bootable disk and press any key" ... How to solve this ? I'm able to press the "option" button to return Mac partition BUT I can't install windows on my Mac. This method is useless for mid 2009 MacBook Pro. You will be able to create the USB but won't load from usb. MBP mid 2009 users should use the superdrive and a windows DVD. Thanks to all who have posted their suggestions - super helpful. I have a mid-2007 iMac (iMac 7,1) with an inoperable internal optical drive (believe to be a motherboard issue), running Yosemite. iMac is too old to support an external SuperDrive and Win 7 installer won't boot from a third-party external ODD, so I'm left to install Bootcamp and WinPro7 via USB drive. Using the tips above, I was able to create the installer USB through Bootcamp Assistant. All went well (creating, downloading, installing files) until, after partitioning, the reboot brings up the white screen with the Apple logo and hangs there. Rebooting again while holding down Alt only shows my HDD and Recovery drive. I pulled up my SanDisk USB drive in Disk Utility>Get Info the value for Bootable is No. Is that the problem? After so many dead-ends, I feel like I'm so close. Boot Camp Assistant cannot be used. You must update your computer's Boot ROM firmware before using this setup assistant. For me, I only had to move the backup of the plist to a different location because when you try and self sign it finds the signature in the backup and refuses to sign it. Thank you, it works fine on my macbookpro late 2011. The same of the example. The backup file info.plist.bak does not need to be moved out the path inside the application. I was trying to do this in the Beta El Capitan, which is even more locked down, so I just copied Boot Camp Assistant to another location and did the specified edits to Info.plist in there. I didn't need to sign it, and it ran just fine. You could probably also just turn off the setting that requires signatures if you're still having problems. I don't have Xcode installed (it's on my "real" system running Yosemite, but not on this Beta partition), downloading Xcode in order to re-sign an app seems overkill. I really REALLY would like to know why Apple went through all the trouble to block Macs that have optical drives from using an ISO image. Why should I be forced to burn an ISO to a physical disk just because I have an optical drive? That's really stupid. I guess part of the reason it doesn't let you is that the firmware looks like it won't boot the installer unless it's on DVD. Using the modified Boot Camp Assistant I was at least able to get it to re-partition (it looks like the only tricky bit is that it creates a hybrid MBR, with the main HFS+ partition, the recovery partition ("Darwin Boot") and the Boot Camp partition. I tried copying the NTFS partition from the virtual disk I already have it installed and running on, but it still comes up with "no bootable device" (I can set the partition in Startup Disk, but it doesn't show up on the Option-boot screen). I guess I need to look further into exactly what's going on during a boot. I thought EFI was supposed to make all this stuff simpler. 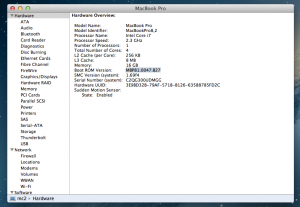 Having issues with Yosemite 10.10.4 on MBP late 2011. Everything works fine untill BootCamp tries to create the bootable USB (windows 10) at this point I get an error message saying: "Your bootable USB drive could not be created" "An error occurred while copying the Windows installation files." Did anyone encountered this? any solution? I've been able to get BootCamp Assistant to show the "Make a bootable usb", but the USB it creates isn't bootable. When I restart with Option pressed, the USB doesn't show up on the list of bootable devices. Desperately trying to install Windows 7 from USB, as my original WIN7 disk is damaged and the inbuilt optical drive cannot read it. I do not know if I can still install WIN7 from USB or not. While I was able to make Windows 7 installation on USB I have not been able to install Windows 7 from the USB drive on my iMac (mid-2011 with built in optical drive). Boot Camp makes the partition and reboot but then there comes the error message that the installation disk should be put in the drive. How can I make it ignore the optical drive and boot from Windows installation flash drive while installing Windows 7? To add your model to these lines, just copy and paste an exsiting row and replace the data between the two tags with your model code. You can find the right codes to use for the plist by going to Apple Menu > About This Mac > More Info > System Report. Use the "Boot ROM Version" and "Model Identifier" as appropriate in the plist. Once you make these changes, save the file and replace the old Info.plist with your new one. It will ask you to type your password. JG i need your help my friend i have permission problems to modificate the info.plist file and i want install windows 7 without the superdrive because don't work can you help me with this? thanks a lot mate. Rejoinder: As mentioned earlier, I use iMac 12,1/EI Capitan with optical drive. My main interest is how to install Windows 7 (WIN 10 is not compatible with iMac 12,1) using USB and NOT the optical drive (as the one I have cannot read WIN7 installation disk due to scratch). I think I was able to create WIN7 installation on USB (while on Yosemite) but I have not been able to force my iMac to ignore the optical drive while booting. The EI Capitan has created additional problem, as it does not allow me to edit info.plist. El Capitan has something called "System Integrity Protection" (SIP) that doesnt allow you to edit some files from the system (but also avoid to do some damages to the system), if you try to edit it tells you that you dont have the necessary privilegies. Its possible to disable the SIP, but its not recomended (you can enable it again). "csrutil disable" press enter. to enable the same, "csrutil enable". then restart. Im trying to install windows 7 on (imac mid 2011) El capitan, but it doesnt reconize my USB when i try to boot. if you got any luck please let me know. I'm trying to install windowa7 too but the mac with superdrives doesn't boot usb. Thanks a lot, Itamine. I will try creating WIN7 installation USB on EI Capitan. I wonder if I am successful in creating WIN& installation USB that would enable me to overide the optical drive (iMac 12,1) while installing WIN7. My optical drive cannot read the WIN7 disk I have (disk is damaged) and I have not been able to create a copy of WIN7 (as the iMac optical drive has refused to read any of the 10 different brands of DVD I used in making the copy of WIN7). thanks man it worked on MackBook Pro late 2008 successfully. you made my day. love you. So, I tried to do this on my mid-2010 MB running El Capitan with no luck, even after looking at all of the comments. I spent a lot of time on this, only to find out someone has already created a modified boot camp app that you can run from your downloads. Worked perfectly for me. Don't know if I'm allowed to put urls on here, so I'll just say I found it on KickAss. Scrolled all the way down so i can comment thank you!!! I have been struggling to clean install WIN7 on my iMac12,1 running EL Capitan for the past 6 months but without success. My problem is simple: my WIN7 disc is damaged and my iMac optical driver does not accept it. When I run a copy of WIN7 installation the windows set up ends up saying "No device drivers were found. Make sure that the installation media contains the correct drivers ...'. I understood that my iMac model (mid-2011) cannot install WIN7 from USB, as it has an optical drive although I was able to change the BootCamp to show "Create WIN7 installation USB, etc. For OS X El Capitan all you have to do is disable SIP first before you edit Boot Camp. I have a 2015 Macbook Pro. Will this method work for me? This is really useful! I just fixed mine. mine doesn't have the DARequiredROMVersions when i open the the file info.plist. what can i do? I did this on Mavericks and all it would do is crash. Here is what I did to fix it. 7. Remove the "Pre" from the "PreUSBBootlalala"
9. Got the aforementioned code signature invalid crash error on running bootcamp. Fantastic great news , thanks for ever! Worked like a fine ..best topic ..it works a fine. I am having trouble trying to copy the update info.plist into the contents folder of Boot Camp Assistant. The option to paste just isn't there. Im not even sure if I update the info.plist properly because the video I was watching showed that I should add my Boot ROM Version to DARequireROMVersions. My listing doesn't show "DARequireROMVersions" at all. I have a iMac12,1 and am trying to install windows 7 using a USB bootable version but Boot Camp will not recognize the USB. Need Help Please??? IS there a way to install Windows via bootcamp on a Mac without a usb drive? Spent 8 days trying to get Windows 10 64bit installed in my MP3,1. I googled everywhere, tried every possible method, boned my test drive (HDD) at least 10 times. I remember I followed a method (editing plist) and I got it installed successfully. Since it was my test HDD, I then, tried it on my actual SSD and then it doesn't work anymore. I remember I tried the same method; DAR, Preusb... and then 8 days later, I still couldn't get it to work anymore. I'm not going to give this up because i got it to work once. I know there has to be something that isn't right. Im on MP3,1, Elcap with a broken Superdrive. So, usb installation is my only option. I can build the boot usb successfully. Ticked all 3 options in BCA. Everything goes well, EVERYTIME throughout the process. I finally came to the booting with OPTION key. I only got EFI Boot. I select it and it goes in the black screen with 'loading files...' a few minutes later when the progress bar completed, my MP3,1 reboots and went back to ELcap. I rebooted it with OPTION to check what is going on and there EFI Boot option is there again but can never go to Windows 10 installation process. I'm still stucked, trying to recall which method I used that I successfully installed W10 previously. If you have any pointer please help me out. Someone in my neighbourhood is able to help but for a fee. I will not pay anyone to do this because I know i will get this sorted out with some help here hopefully. Thanking Mihail and everyone in advanced for this.